We had been looking forward to this day for a very long time, and it was even more gorgeous than we could’ve hoped for!! I mean c’mon - look at these two models! The venue was a dream, with the girls getting ready in the rustic homestead and the ceremony out on the lawn. We seriously couldn’t ask for more than golden sun and an amazing garden! 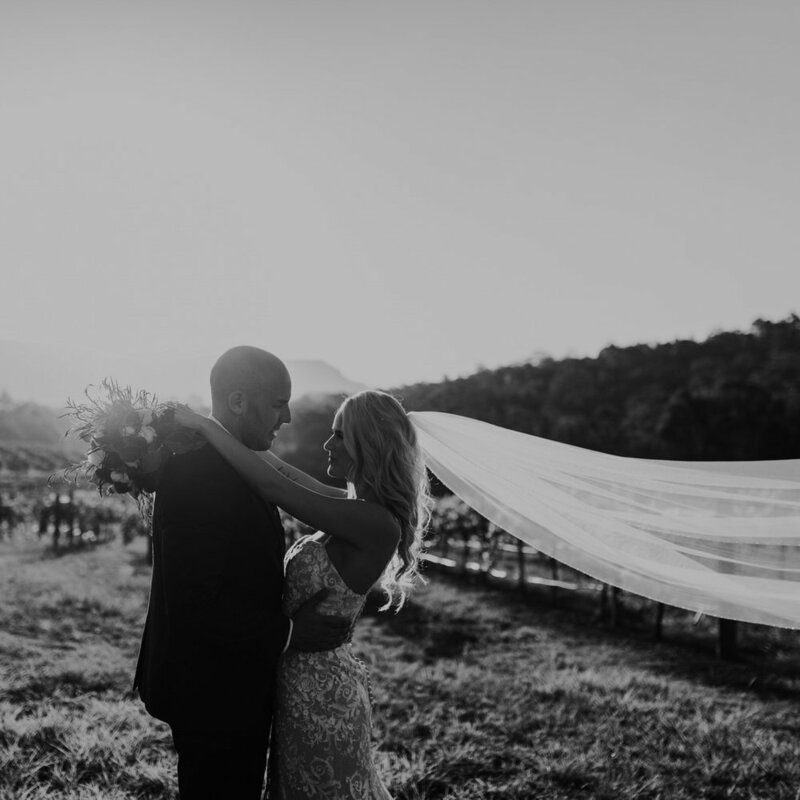 After some beers and some congratulations we strolled through the vineyards with the bridal party, then back out again at sunset with Nick & Em. Oh my lord what a day - it was absolutely amazing and we wish you all the best! !